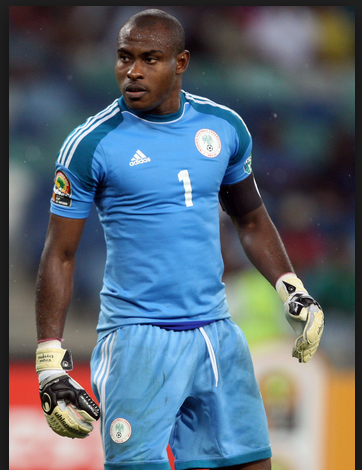 Super Eagles captain, Vincent Enyeama was conspicuously absent yesterday when the Organizing and Disciplinary Committee (O&D) of the Nigeria Football Federation (NFF) sat over‘provocative remarks’ regarding Kaduna as an unsafe venue for Super Eagles matches. However, Super Eagles Chief Coach, Stephen Keshi who honoured the invitation which was largely centred on his alleged bias in the selection of players told journalists after appearing before the committee that he was not worried about the issue because he had told them all he knew about the matter. Keshi who stormed the NFF secretariat in company of his manager Emma Ado said his main concern at the moment is how to adequately prepare the Super Eagles for the 2017 Africa Cup of Nations (AFCON) qualifier against Tanzania in September. “What is on my mind today is the next AFCON game against Tanzania and how to defeat them in September. We thank God for the victory against Chad in Kaduna, the next should be how to consolidate on that victory that should be our target now and not who said what. On the listing of his name for the job of the Elephants of Ivory Coast, Keshi again said he does not know anything about the Ivorian job even as he rejected any suggestion to drag the fellow West African country to court.